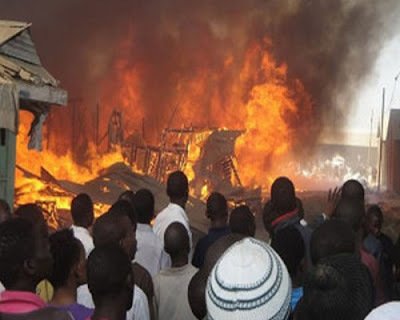 The office of the Independent National Electoral Commission (INEC) in Qua’an Pan Local Government Area of Plateau State has been engulfed by fire. This is coming less than one week to the 2019 presidential election. Plateau State INEC Head of Department, Voter Education and Publicity, Osaretin Imahiyereobo, confirmed the incident to Daily Trust in a statement on Sunday. It was gathered that the incident was caused by a drunken security man. Imahiyereobo described the incident as a setback for the preparations for the general elections in the Local Government Area. The statement read: “The INEC office is completely burnt with all its content i.e Ballot Boxes, Generators serviced and filled with fuel, cubicles, newly printed electronic and manual Voters Register, uncollected PVCs, materials for the preparations of RAC and other materials yet to be identified.